The 2018 World Cup has been a thriller to say the least, and it all comes down to Sunday’s final match between France and Croatia. 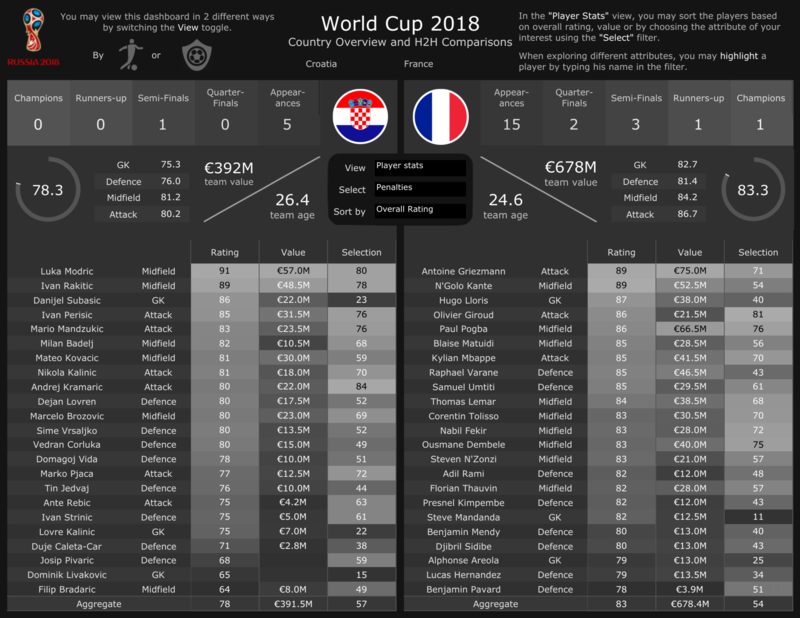 Standout players like Luka Modrić and Kylian Mbappé have drawn accolades, but perhaps data can add even more excitement to what will be a memorable final. 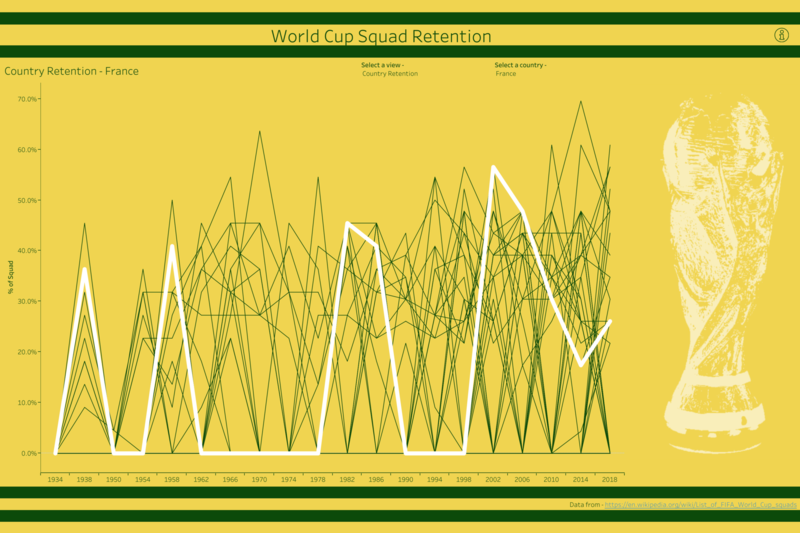 Here is a roundup of World Cup vizzes from Tableau Public, with some key metrics for the final matchup. This year marks Croatia’s 5th World Cup appearance, with their best finish coming in the 1998 tournament when they captured third place. Compare that to France’s 15 World Cup appearances and third overall appearance in a final, including in 1998 when they won it all. Yet, this isn't the first time these team's have met in the knockout stages. France was the team to knock out Croatia in the 1998 semifinal, scoring two goals to Croatia’s one. 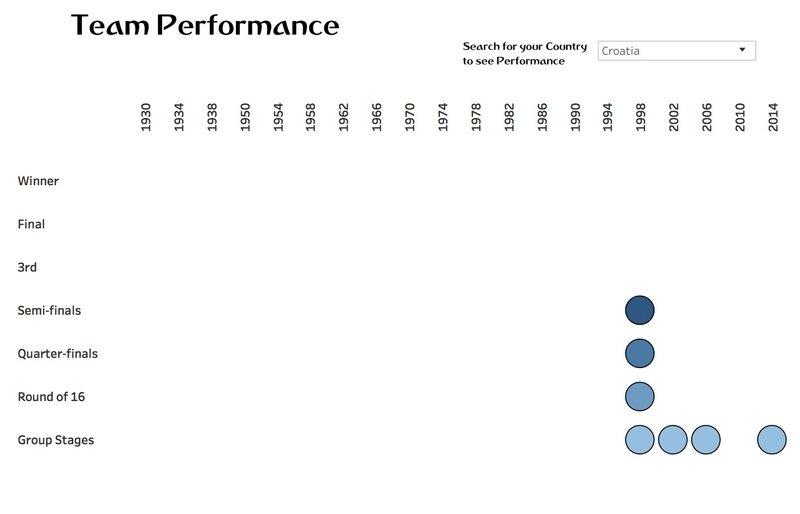 But is France really the more experienced team? France is the 3rd youngest team in the 2018 World Cup tournament, with an average player age of 26. 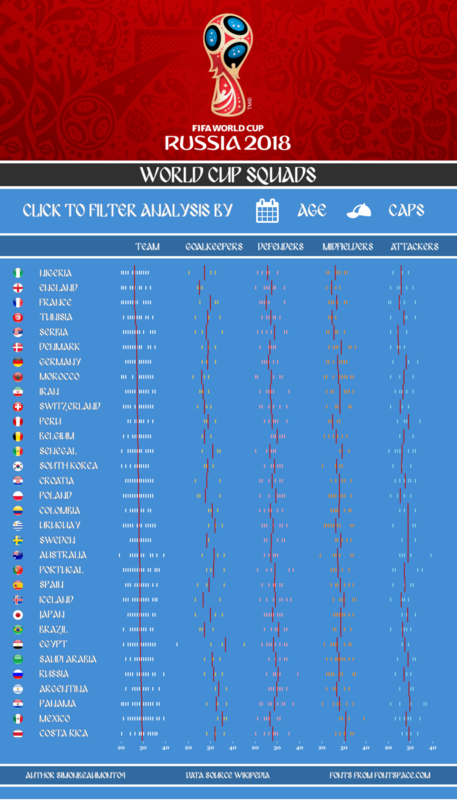 Croatia came into the tournament near the middle of the pack, ranking 15th youngest with an average age of 27.8 years old. Furthermore, Croatia’s team brings 12 players with World Cup experience into this year’s tournament while France only has six players with World Cup experience. 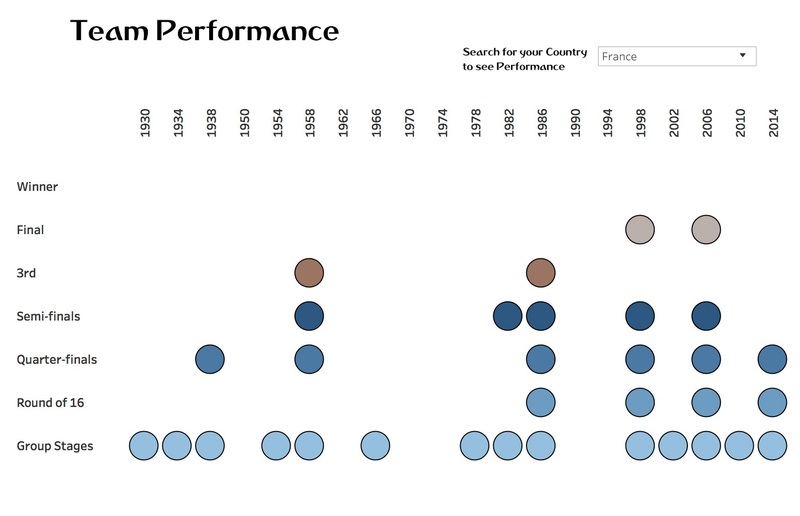 Despite the youth and inexperience, France’s talent is heavily valued. The total player value of France’s roster is almost €300M greater than Croatia’s roster. Whatever the outcome may be, this matchup is guaranteed to be an exciting one. These are two very different countries, with different teams and styles of play. What does the data tell you? 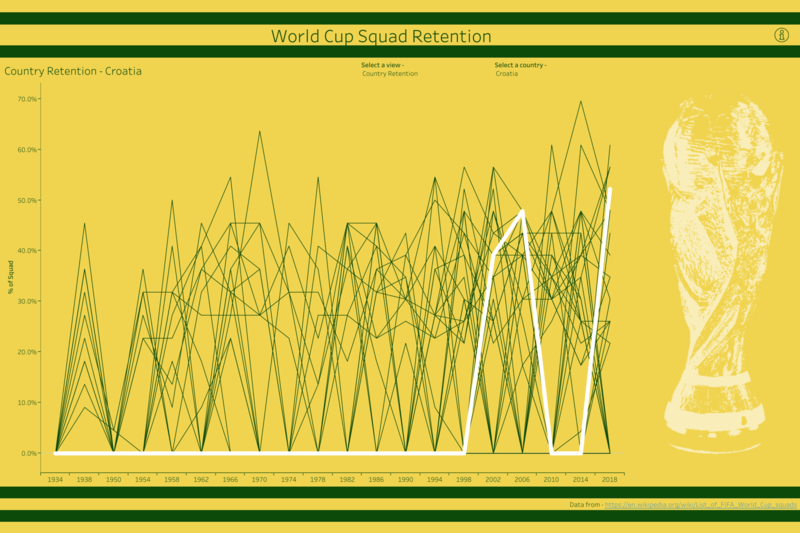 Share your own visualizations on social media using #AnalyzeTheGame. 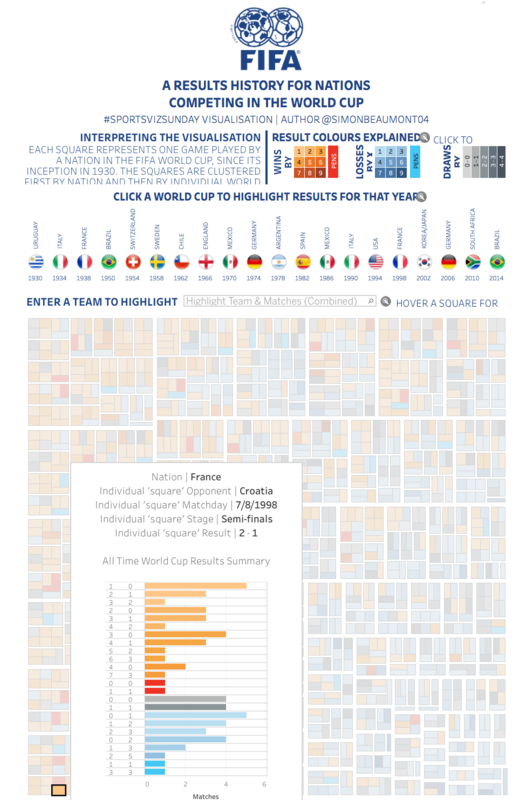 If you’re interested in learning how to make visualizations like this match dashboard, check out an upcoming webinar Reflecting on the World Cup with a world-class dashboard.